We’re on the move and getting ready for Kindergarten! In this Pre-K program we fine tune social skills, work on responsibility, refine the small motor skills and strengthen large motor groups. Part of our kindergarten preparation is lengthening the child’s attention span and helping to form independent work habits. A strong pre-kindergarten program can be a worthwhile experience for your child. 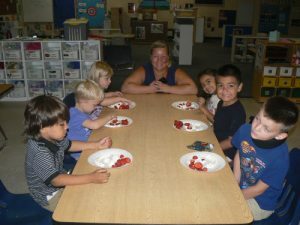 Something Extra Preschool will help prepare them for a rewarding educational adventure. To develop our program, we work extensively with kindergarten teachers in our area. This provides the children with the best possible academic base for starting elementary school. 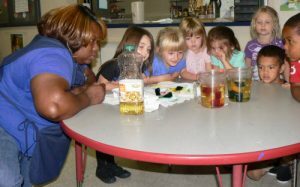 The team at Something Extra Preschool works regularly with local kindergarten teachers and elementary school staff. This helps us better prepare your child for the rigors of kindergarten. Our curriculum, daily activities and week-long schedule will be based on this research. We integrate elementary school elements slowly over the course of the year. Your child will walk away from our Pre-kindergarten program prepared and excited to start Kindergarten. Parents will see the difference too! Your child will transform into a brand new learner.